in their own, unedited words. "This was hands down the best shoot I've ever done, and we take pics for Dustbowl all the time so I'm very comfortable. It was like another level of comfort and intimacy. The environment was SO positive and supportive, I literally never felt self-conscious. So that was a really special part of the shoot, that I've never felt before, because in the past - at ANY other shoot - I'm always worried about 'looking pretty' and at this shoot I just felt beautiful, no matter what." "Becca allows and encourages me to be playful, which is great because I don't always have a specific idea of what I'd like to get out of the session. So, the shoot itself feels very free. And my favorite shots from our sessions are usually the ones that capture that spontaneity. It's hard to relax and come away with that unless you're working with someone you're comfortable with. I trust Becca. And part of that trust also came from seeing what she'd done with other clients. She built a brand and a style that I wanted to be associated with. I got what I wanted and now I've got shots I'm actually comfortable using over and over again the next couple years." 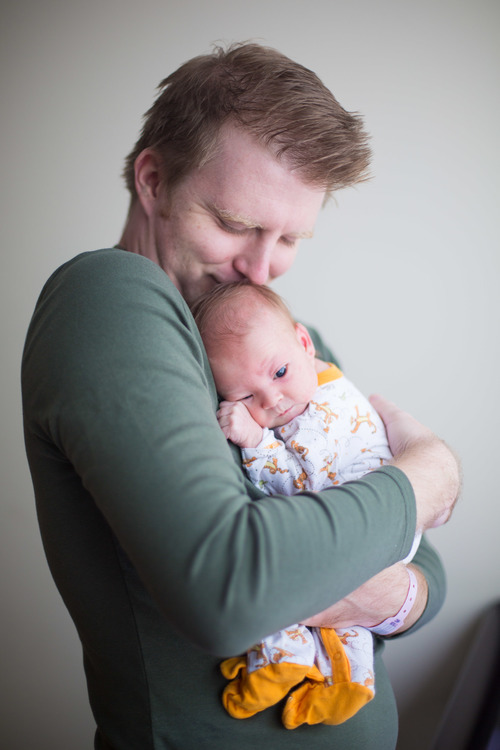 "My wife and I have commissioned Becca for our wedding, baby photos, and family portraits. One her pics (our dog jumping into the pool) now covers an entire wall in our house. We loved it so much we turned it into a 4x6 foot canvas print, and even at that scale, the detail is incredible. Becca has that rare ability to capture a person (or animal's) essence in a single click." Becca was the perfect choice for our engagement photos! She was fun to work with and we felt relaxed and at ease the whole time. Our photos are gorgeous! "I usually don't enjoy having photos taken but Becca's bright, genuine energy made it a blast. Not only were my photos a stunning quality but she truly brought out ME." "The day Becca came over for our Newborn Photography session was the first time my little one decided she no longer napped during the day. After Becca left, I was hormonal and upset that my baby had screamed and cried the whole time and we wouldn't have any happy baby pictures for our birth announcement. But thanks to Becca's magic and mastery, we were (very!) soon provided with a huge selection of adorable moments Becca had been able to capture that I hadn't even seen. I'm so grateful I chose Becca for this special milestone in our lives!" "Working with Becca is a dream - she creates the perfect environment so that I always feel comfortable and present in my body. Because she is so skilled but also relaxed, I feel free to just do my thing. Her positive energy has a beautiful impact on her photos - everything shines." "Recently I have had the pleasure with shooting with Becca on several occasions. Not only is she an insightful photographer, she helped me in setting the tone for creating my website. She’s so savvy on an overall “big-picture” feeling. She’s fantastic to work with, on time, flexible, and shows up with great ideas and ready to go. Creative, smart and intuitive. I look forward to working with Becca in the future." Creative and intuitive, working with Becca is like being photographed by a best friend who’s known you forever. My shoot was a fun, laugh-filled afternoon as Becca brought her open-hearted, sweet and savvy artistry to the process. I’ve never had such a good time at a photo shoot and I’ve never been so happy with the results!